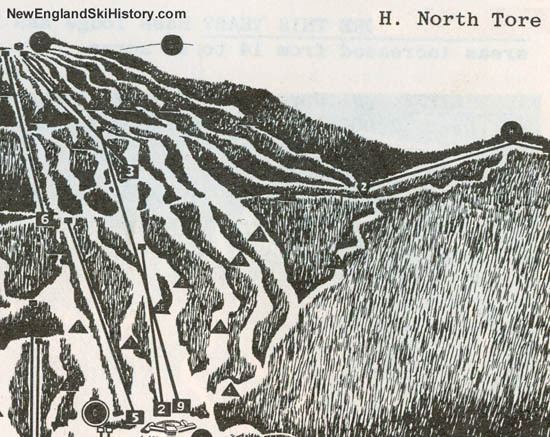 As part of Walter Schoenknecht's dream of skiing on all four sides of Mt. 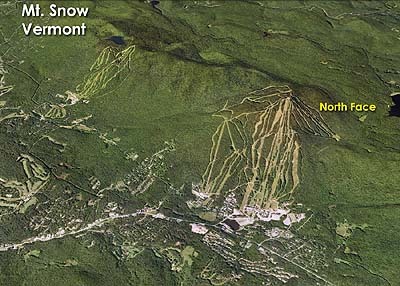 Snow, the North Face area was first opened circa 1958, labeled as "North Tore." 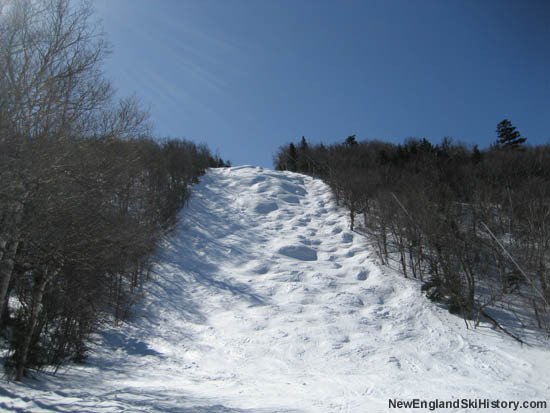 Without a top to bottom lift in place, uphill access from three advanced trails was provided via a rope tow leading to a connector trail back to the Main Mountain. 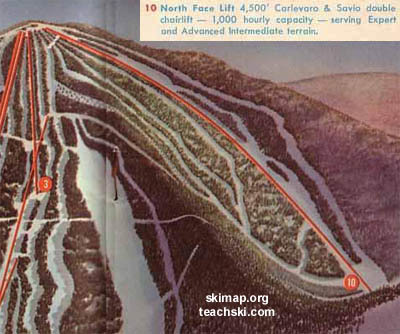 In 1963, a new Carlevaro & Savio double chairlift, 4,000 feet long and climbing 1,050 vertical feet, was installed on the North Face, eliminating the inconvenient rope tow ride and flat ski trek back to the Main Mountain. 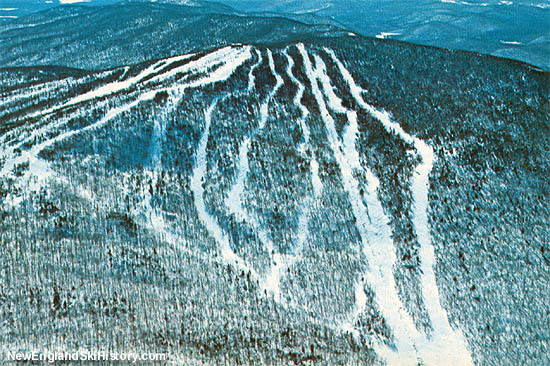 From a business perspective, the complex of six trails was developed to help reduce crowds and stress on the Main Mountain area. 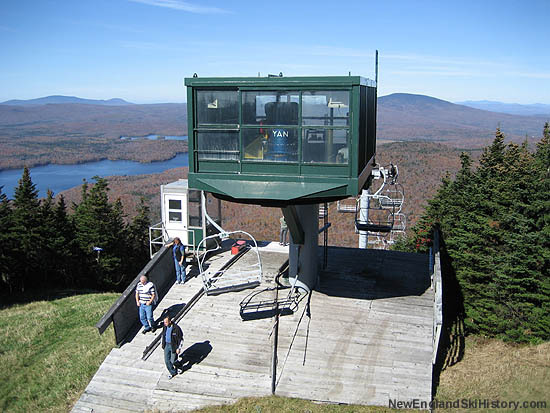 In 1982, the uphill capacity of the North Face area was dramatically increased when a new Yan triple chairlift, the Challenger, was installed adjacent to the North Face double. 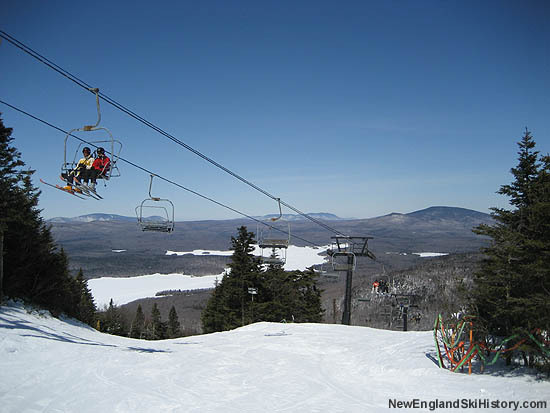 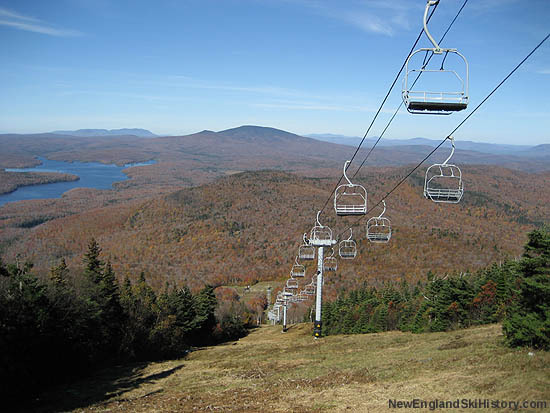 The new chairlift climbed 1,024 feet over a run of 3,700 feet. 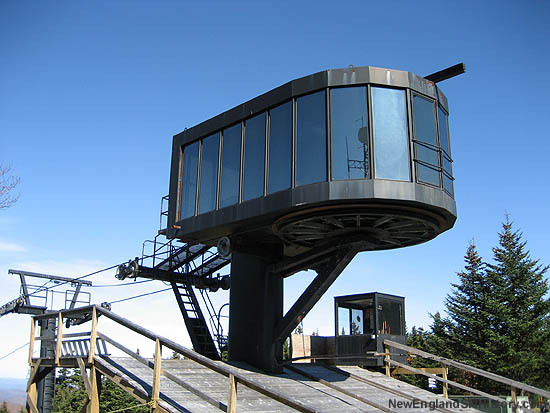 That same year, the summit lodge was rebuilt, further adding to the North Face experience. 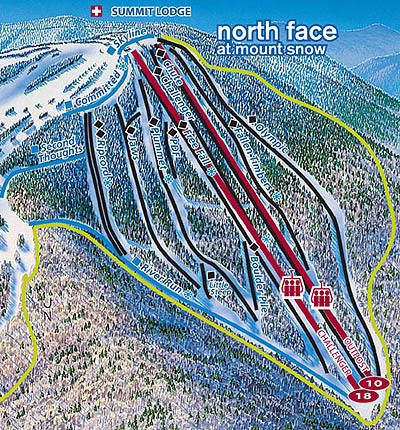 In 1987, the original North Face double was gradually upgraded, initially by Yan, then by CTEC, to a triple. 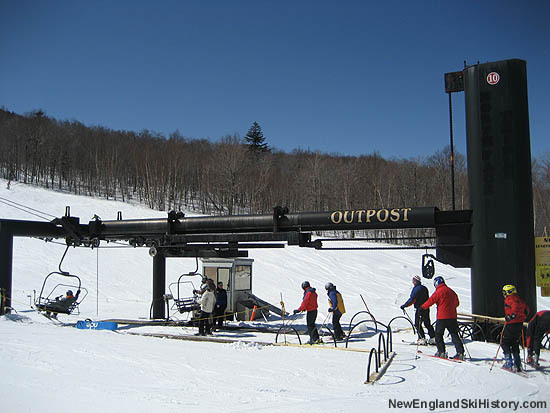 It is now known as the Outpost Triple.